NANYANG Tech-nological University's Innovation Centre has seen yet another startup bloom into a Singapore-based multinational company. Dr Kar Wong founded Advanced Holdings in 1993 and started with a small office at the Innovation Centre. It has since grown into a global organisation with more than 15 subsidiaries worldwide, and over 500 employees spanning Asia-Pacific, the Middle East, Europe and the United States. 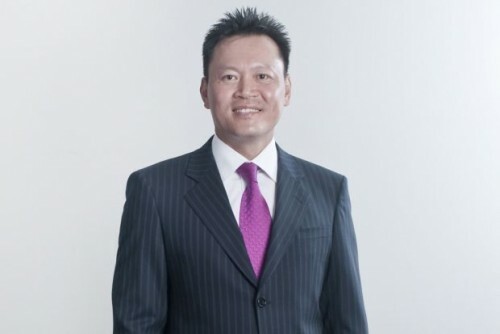 Advanced Holdings recorded a healthy turnover of S$114 million last year. For his outstanding entrepreneurship, Dr Wong has been awarded the EY Entrepreneur of the Year Award for Engineering Services and Process Equipment this year. "Winning the EY Entrepreneur of the Year award is both a humbling and rewarding experience knowing that the work of our team at Advanced Holdings has received much attention and recognition from the esteemed judging panel," says Dr Wong, who is the group managing director of Advanced Holdings. The EY Entrepreneur of the Year awards are doing a great job of promoting entrepreneurship in Singapore, he says. "The EY Awards recognise the achievements and impacts of entrepreneurs, without discrimination. They also show that anyone from any walk of life can be a successful entrepreneur. By highlighting their stories, hardships and successes, the EY Awards will inspire more people sharing this common dream to come forward to have a go at entrepreneurship." A good entrepreneur is someone who has a clear and unwavering vision, thinks outside the box utilising minimal amount of available resources in the pursuit of that vision, regardless of how tough and impossible that journey may be while being guided by a set of principles, says Dr Wong. Jeff Bezos of Amazon is a good example, he adds. "Good entrepreneurs are good leaders, and they should have courage, passion and humility in order to lead others in the pursuit of their vision," says Dr Wong. "They should have steely determination and perseverance in seeing through difficult tasks while maintaining a positive attitude. This will rub off on others around them and become a beacon of encouragement and motivation. They should see opportunities in adversity." An ability to communicate easily among all stakeholders is essential. Entrepreneurs should also have a set of principles which they will strictly adhere to no matter how trying the circumstances are, he adds. While many businessmen feel that the current business climate in Singapore is challenging, Dr Wong is of the view that entrepreneurship can thrive here. "The business climate is always going to be challenging anywhere you do business not just in Singapore. And just as a CEO of a famous company once said he was not going to let anyone come in and eat his dinner, we should expect this same mentality everywhere else. You just have to create a viable business, and fully engage innovation and stay true to your principles to always be one step ahead of your competitors." Dr Wong says that in view of Singapore's small and open market with less than six million people, the way to make headway as an entrepreneur is to have a global mindset and go global from day one and to compete internationally. "It will not be easy but it should not deter real entrepreneurs to succeed in Singapore and elsewhere, and there are many examples of such successful entrepreneurs in Singapore," says Dr Wong, who faced many challenges as an entrepreneur and overcame them successfully. "The main challenge we faced in the early years was our limited financial resource. It set a slow pace with which we grew and built our presence globally. We could not undertake major projects where financing was an issue. We had to engage sub-contractors to do our work then as we did not have sufficient financial resources to build a comprehensive engineering team in-house and have our own production facility. Obviously, it was hence harder to control the quality of work." In managing the delicate balance between the need to grow and cash flow, Dr Wong came close to bankruptcy twice in the start-up years. He overcame this by cultivating a strict discipline and prudent financial management - ensuring healthy cash reserves, maintaining low gearing and managing business risks astutely. This financial prudence and discipline has served very well since then, and by instilling this value in the management, continues to guide how the business is run today. One clear market trend he sees is the need for localisation of products and services. This applies particularly to the engineering services provided by Advanced Holdings in markets such as China, the Middle East and the US where companies prefer dealing with and have greater trust in locals. "We have anticipated this by setting up or planning local facilities and engaging the local workforce. This should help us in growing our market share in these areas. Since the setting up of our facility in China three years ago, we have seen a significant growth of our business there," says Dr Wong. "Through the market research we conducted, we expect to see the same for our planned joint ventures in the Middle East and America. The challenge there will be to minimise our Capex requirements so that we can still efficiently manage our growth and costs," says Dr Wong. His main competitors are mostly global companies. So far, he has managed to carve a niche and compete effectively with these giants in the oil and gas, petrochemicals and chemicals, and clean energy industries. Growing and expanding is another challenge. "We have to be especially prudent when we enter new markets and deal with new clients. We have identified strategic vertical and horizontal mergers and acquisitions to boost our line of products and services as well as extend our presence in new markets," says Dr Wong. Advanced Holdings differentiates itself from its competitors by being a total solutions provider and takes pride in providing better quality and service than its competitors. "Our success is based on passion, integrity and honest hard work. We pursue productivity, innovation, staff development with training and other on-going programmes and introduce social initiatives for our staff to promote healthy living and sporting events to build capabilities and maintain a happy and cohesive workforce," says Dr Wong.